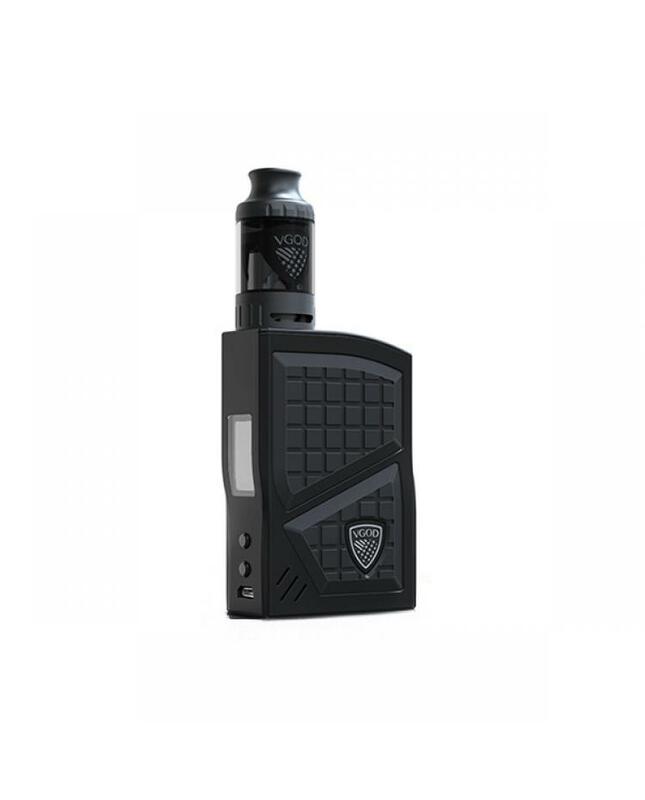 The Vgod Pro 200W Vape Kit With Pro Subtank, only black color available, it's designed for extreme versatility to give you everything you need in one box, the pro 200w vape box mod has been designed for style and comfort, it's contoured to fit in any size hands, hold it with your right hand or your left hand, the fire button is flush at the top of the box, so you can always press it comfortably whether it is held from the top or from the bottom, added grippy rubber side panels offer superior handling, grip and comfort. 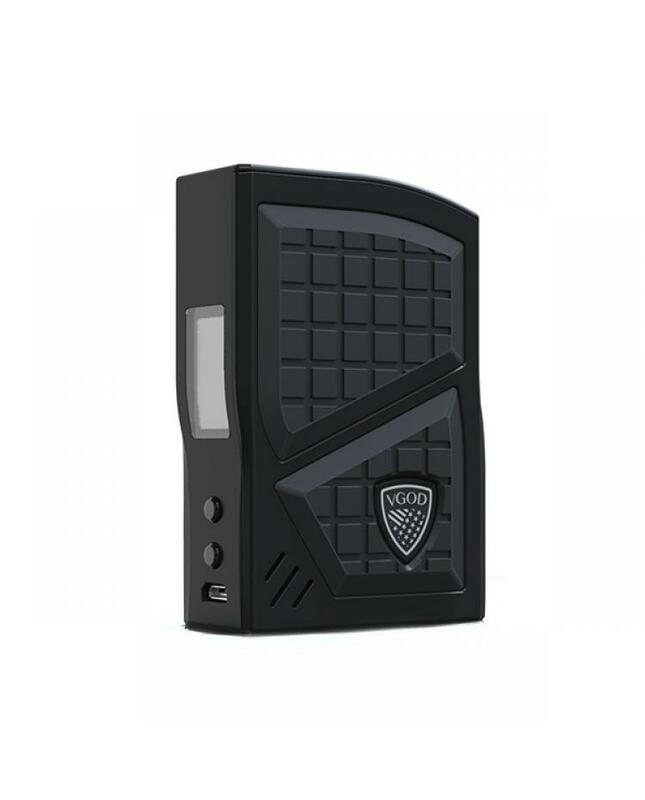 it powered by dual high-rate 18650 batteries and max output 200watts in various working modes by unlocking the advanced menu, fire hard at a continuous 4.2V in mech mode, vape like pro in pro mode and individually program a wattage curve for your own personalized vape style, or select your desired temperature and wattage for NI, TI or SS coils. the vgod pro sub tank can hold 3ml e juice, which will deliver satisfying flavor and a massive cloud of vapor. 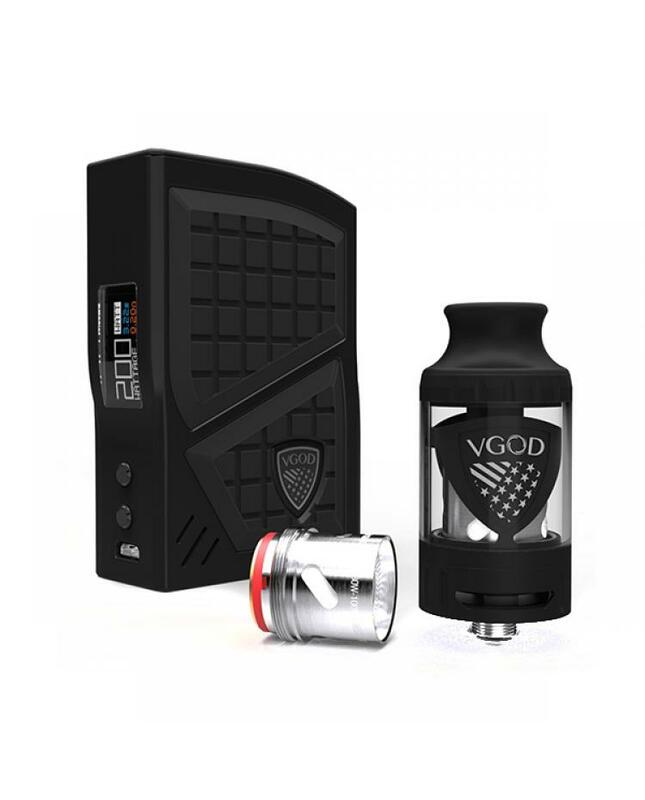 the includes 0.2ohm shotgun coil can works between 30w to 100w, best works at 60W, the tank made of pyrex glass and contains two official vgod shields built in for a more distinctive style, it features a convenient, leak-proof, top fill design and two wide adjustable airflow slots on the base to accommodate your airflow preferences.